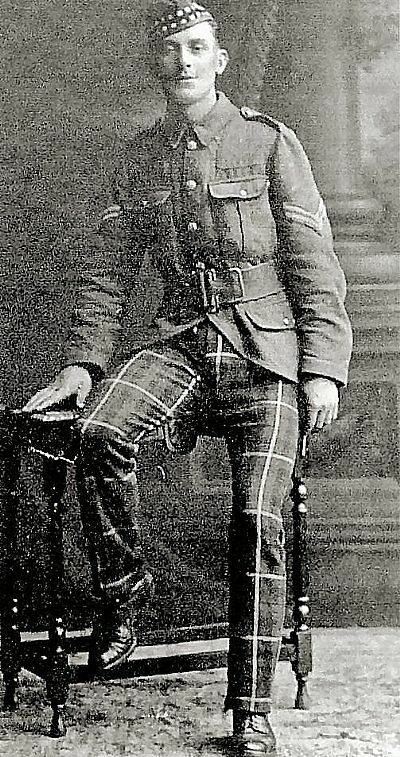 Sergeant Robert Jack was a joiner in Avoch and a member of the Territorial Force. He was sent to France with the Seaforth Highlanders and was wounded at Aubers Ridge, one of the deadliest battles for the Seaforths. 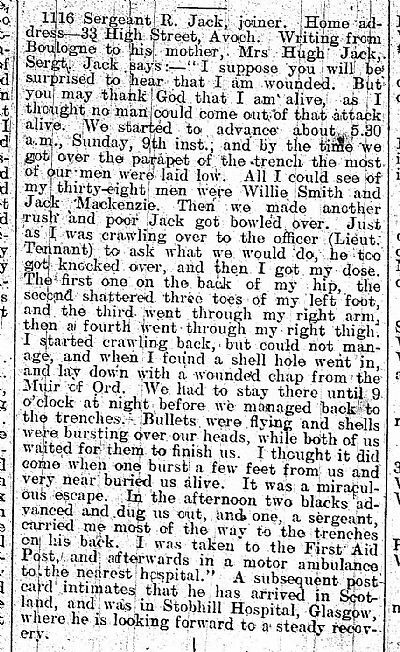 In a letter to his mother, published in the Ross-Shire Journal, he describes the horror of the day, his multiple injuries and his rescue by Indian soldiers. He never recovered sufficiently to rejoin the unit permanently. Letters of this sort were not published in the later years of the war.